A development on pulse stretcher V1. This circuit is used to stretch a short 10 ns pulse from a photon-counting module to a 100ns long pulse that can be more easily recorded or time-stamped e.g. with the white rabbit fine-delay FMC. 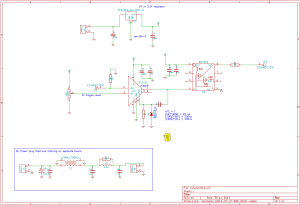 The new circuit is the same LT1711-based design as the old one, with an added buffer (BUF602) on the output. This improves output-load handling because the BUF602 can drive both 50 Ohm and 1 MOhm loads. 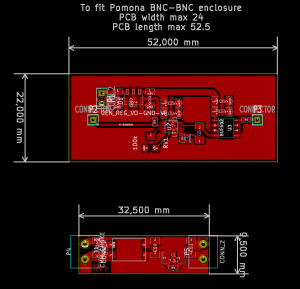 The PCB is made to fit a BNC-BNC enclosure by Pomona. Some testing with an artificial input-pulse from a Keithley 3390 signal-generator..
.. and with the actual PMT-pulse. Note how the 100MHz scope produces nice round smooth signals while the 500 MHz Tektronix reveals more of the ugly truth. 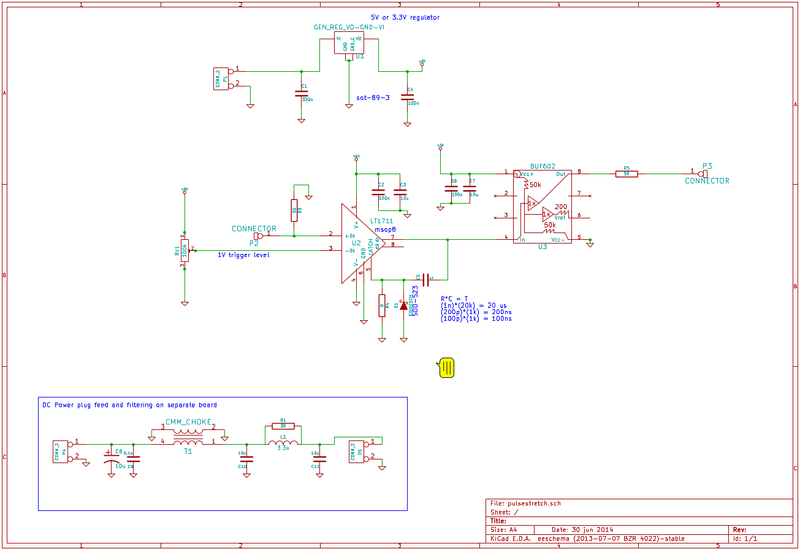 I have update the post with a link to a zip file with the kicad project, schematic, and PCB. hope this helps.